The boys come over every Sunday for supper :) :) :) so as soon as I get this post finished I'm off to the kitchen to bake a cake for dessert - I'm putting them to work when they arrive, putting up the new Christmas tree. If the cake turns out well, I may even be able to persuade them to help me decorate, lol! 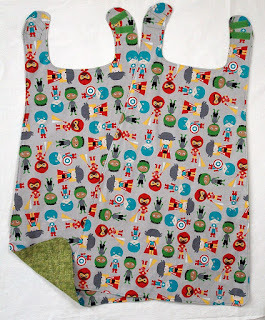 Christmas sewing will recommence tomorrow! I LOVE that zippy pouch fabric, what a great gift!!! Great use of the fireman print. I've got a few cuts of that too, just sitting and waiting for that perfect project. So glad you found one! What a fun pouch, Sandra!!! Awesome fussy cutting - it's perfect. No way could your son have purchased something as good if he'd had to go shopping. He's lucky to have you sew for him. Great pouch. Thanks for stitching along with Elm Street Quilts Bag It! 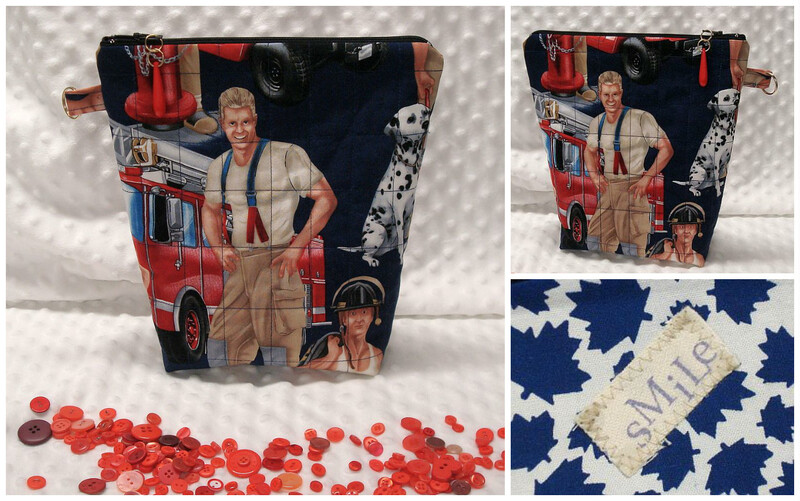 Lovin' this zippy pouch, Hunky Fireman! Great job. Danette thank you! 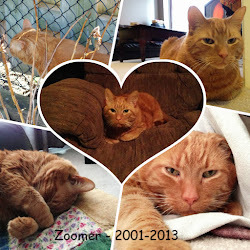 I'm so sorry - I can't comment on your blog or reply to your comment becaue G+ blocks me (I'm not a G+ member). Your triangle pouch and cellphone/business card holder will make a beautiful gift!